What is Lavender Essential Oil ? Lavender Essential Oil has a wonderful sweet aroma and is usually steam distilled from Lavender plants. Most of the Lavender Essential Oils come from the angustifolias or English Lavenders which also goes by the previous name of Lavandula officinalis so sometimes it's called English Lavender Essential Oil or Essential Lavender Oil. There are many uses for Lavender Essential Oil. The essential oil is widely used in everything from cosmetics and Lavender Essential Oil Skin Care to aromatherapy applications. Lavender Absolutes are sometimes confused with essential oils. Of all the different Lavender Oils many consider Bulgarian Lavender Essential Oil the best of all. There is even certified Organic Lavender Essential Oil. Lavender Essential Oil has been credited with a long list of beneficial properties and is the very life essence of the Lavender plant. The essential oil is the volatile plant essence in it's purest most concentrated form. It is the very "essence" of the plant it is derived from. Volatile means vaporous in that it turns to gas quickly. This term is taken from the Latin voltare meaning to fly. Only pure natural Lavender Essential Oil contains these beneficial volatile compounds. Synthetic Lavender perfume oils which have been created in a lab to mimic the scent don't have the same molecular structure. This means since they are not from plant essences they do not carry the same benefits of Lavender Essential Oil. How is Lavender Essential Oil Produced? Pure Lavender oil is mainly produced by steam distillation. A large amount of plant material is needed to produce essential oil. The volatile elements are extracted by steaming them out of the plant. The resulting steam then condenses with the essential oil floating on top of the liquid. The essential oil is then separated from the liquid. A small amount of the Lavender Essential Oil does remain in the water and this liquid is used to make plant hydrosols which should not be confused with floral waters. The distilled essential oil must be aged for several months before being sold. The very best Lavender Essential Oil is made only from the flowers although growing conditions also play a role in the quality of oil produced. Learn more about extraction methods for producing essential oils here. Lavender Essential Oil is one of the few oils that can be applied, in small amounts, to the skin. The oil quickly penetrates and enters the bloodstream and works its magic. Don't use Oil of Spike or Lavandin as these types have more camphorous compounds and are not as beneficial but they will work well for household use throughout the home for cleaning and deodorizing. Even though the term "oil" is used it is not greasy as for example cooking oil. True essential oils will not leave a greasy residue when applied to paper or a cotton pad. If it does it means that the essential oil has been cut or diluted with something else. Don't believe the plant oil can get to your bloodstream? Then try this test. Take fresh garlic and rub it on the bottom of your foot. Put your sock and shoe back on and go about your daily routine. Wash your hands well after doing this. In a relatively short time you will detect a garlic odor on your breath and may even taste it. Lavender Essential Oil has wonderful healing benefits such as soothing and calming skin irritations, prevents scarring and infection and even naturally repels insects. This is why you can find it in so many natural skin care products. What more could you ask for in a product than all of these qualities? In China this essential oil is used as a curative for just about everything in a product called White Flower Oil. Visit here if you are looking for Lavender Essential Oil uses and other ways to use Lavender Essential Oil. How To Make Lavender Essential Oil at Home? If you grow enough Lavender plants you may wish to purchase a unit for steam distilling of the plant material, also known as a Still or Alembic, to make distilled Lavender Essential Oil. This is the most popular method for making Lavender Essential Oil. 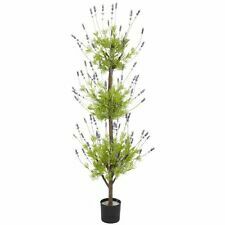 Growing Lavender can become quite addictive and you can find yourself with a lot of plants. Purchasing home distillation equipment is the natural next step. There are many smaller essential oil stills available for purchase that will work nicely for home use when making essential oil from your fresh Lavender flowers. The Stills used for distilling essential oil are usually handcrafted out of copper which is both pleasing to the eye to look at as well as produces a nice finished product. Simply google Copper Alembics to find one. Buying your own Essential Oil Still is a small investment for the lifetime joy of getting to make Lavender Essential Oil. Did you know that you can use moonshine stills to distill essential oils as well? The Stills sold for home alcohol distillation will often work to distill other things including water or plant material. Above is a link to a table top still which will also work to distill essential oil. This still is made from easy to clean stainless steel and is small enough to sit on a table top making it perfect for home use. Lavender Essential Oil Where to Buy? Where to buy Lavender Essential Oil? Sometimes it can be found where organic natural foods are sold. Things to beware include diluted or cut oils, synthetic oils or those sold in clear glass bottles. If you are new to all of this then familiarize yourself with some brand names from reputable suppliers. Buy only pure Lavender Essential Oil. Essential oils are sensitive to light and heat and need to be stored away from these elements. They will most definitely not all cost the same price because some are harder than others to produce. Some plants are rare and hard to grow. Truckloads of plant material are sometimes necessary to produce a small amount of Lavender Essential Oils from a specific plant species. This is why there are commercial suppliers growing Lavender. When you use essential plant essences they are measured in drops not ounces so those little bottles will last you a while. Lavender essential oil is wonderful in a aromatherapy diffuser and is my favorite of all essential oils available. Diffusing creates a relaxing and wonderful smelling environment in any area.